The trend of the beautiful cars is increasing day by day. But it does not mean that every beautiful car can run fast. There are just a few of them that can leave a bright impression. Among those few is the Alfa Romeo Giulia Quadrifoglio. The Quadrifoglio is powered by the 2.9 L twin-turbo charged V6 engine engineered by Ferrari. Though it’s just a V6 engine, but it has been tuned quite well. This 2.9 L makes 505 hp rated at 443 lb – ft of torque. 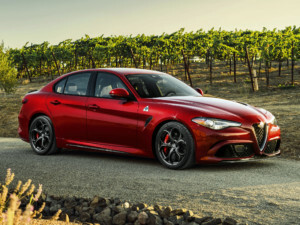 With this drivetrain Quadrifoglio reaches the 0 – 62 mph mark in 3.8 seconds. Her top speed is 191 mph. Indeed the Alfa Romeo Giulia Quadrifoglio is the winner of this chart. Cadillac is showing some serious intention to produce performance cars. Every next car that Cadillac is launching has sports instincts. Similarly, the ATS-V which is actually a luxury sedan, has plenty of power. The ATS-V is powered by a 3.6 L twin turbo V6 engine having 464 hp of power. With this spectacular drivetrain, ATS-V is capable of reaching the 0 – 62 mph mark in no more than 4.2 seconds. This performance is certainly ranked as the best in its class. Further, the ATS-V has a top speed of 189 mph. These are indeed some serious performance schedules. The Infiniti is famous for its luxury cars. Along with them, it even has expertise in building performance cars. 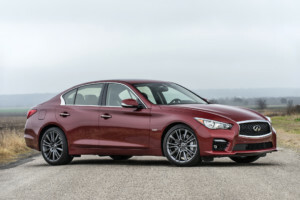 One of the examples of its expertise is the Q50 Red Sport 400. This car is powered by a 3 L V6 engine. Further, the drivetrain has 400 horses. With such a glamorous powertrain, Q50 Red Sport 400 reaches the 0 – 62 mph mark in just 4.3 seconds and has a top speed of 155 mph. Indeed it is one of the glorious V6 Sedan of 2017. Moreover, it has the potential to the choice of the driving enthusiasts. Elegance and power are seldom witnessed together. Unfortunately what happens is that elegant cars are shy to performance. While performance cars look hardly elegant. Well, what we have here is an elegant car which is not shy to performance. The Audi A7 has a remarkable design with richly appointed interior. But it even has a 3 L V6 engine. 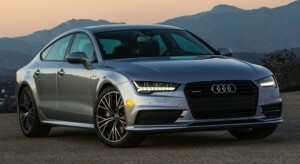 The A7 has 340 hp of power revving at 377 lb – ft of torque. Further, it can reach the 0 – 62 mph mark in 4.7 seconds. The track best of A7 is 130 mph which is certainly quite classic. Overall the A7 is a classic performing Bella. 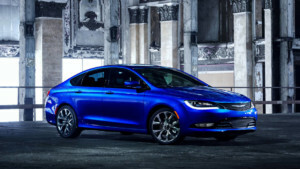 The Chrysler 200 has a proficient design and strong chassis. The 200 gets the option of 3.6 L V6 engine which makes 295 hp of power. This car is capable of reaching the 0 – 62 mph mark in 5.7 seconds. The track record of the Chrysler 200 is 121 mph. 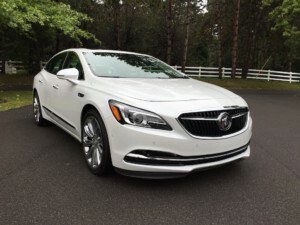 The Buick LaCrosse has the potential to be ranked as a performance car. The LaCrosse has a 3.6 L V6 engine which makes 310 hp of power. This is the powerful drivetrain available for the LaCrosse. Even it has the sweet handling in the whole series. It comes with an adaptive sporty suspension with a poised chassis. The LaCrosse with the all – wheels – drive configuration makes the 0 – 62 mph run in 5.8 seconds and has a top speed of 141 mph. While actually, LaCrosse is offered with the rear – wheels – drive as standard and the AWD configuration stays optional. A speedster from Nissan? Then we do expect that it will have something really hot under the hood. Similarly, we expected a sharp performance from the Nissan Maxima. But we were stun when it ran the 0 – 62 mph mark in 5.9 seconds. Indeed that wasn’t acceptable by us. 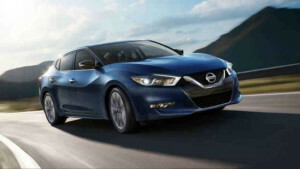 The Nissan Maxima is powered by a 3.5 L V6 engine mated with a CVT transmission. This engine makes 300 hp of power. Well, if the CVT is replaced with a manual transmission and the engine is tuned to certainly a maximum output, then Maxima had the capability to lead this competition. But we’ll have to accept the present one for the time being. The Toyota Camry is one of the highest grossing vehicle for the Toyota Motors. Actually, it’s an entry level executive car, which has all the drivetrains set to subtle performance, beside one. That exceptional one has a 3.5 L V6 engine, having 268 hp of power. With this drivetrain, Camry makes the 0 – 62 mph run in 6.1 seconds. 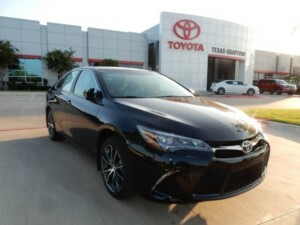 Further, the top speed of Toyota Camry is 129 mph. But the handling of the ride goes underpowered with this efficient engine. Still, the Camry XSE is the performance version of the Camry series. The Avalon shares its drivetrain with Toyota Camry XSE. It gets the same 3.5 L V6 engine having 268 hp of power. And even it makes the 0 – 62 mph run in 6.1 seconds. The track best of Avalon is 127 mph which 2 mph lesser than Camry. Well indeed this is where both the cars are differentiated from each other. By the way, Avalon is even a family rider and it does not foresee much performance. The family sedans even dare to perform. 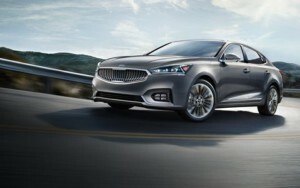 The Kia Cadenza, a specialized family car, has some serious performance equipment under its hood. The Cadenza comes with a 3.3 L GDI V6 engine as standard. This drivetrain launches from 0 to 62 mph in 6.8 seconds. Though the figures are quite hefty, but still, these are some prominent figures. Moreover, the Cadenza’s track best is 148 mph, which is usually not offered in family rides. Well, you can expect the similar performance from the Hyundai siblings of Cadenza. So, this is all from our side. You may also share your views about these cars in the comment section.